I love yellow and I wish I could put my hands on that OCC lip tart. Omg I love your tutorial, it looks amazing :D I really want to try it out, but would feel as bit weird going out with bright yellow eyeshadow lol! the nail polish looks good. Would love to see that Lip Tar on! I love the yellow nail varnish, i cannot imagine wearing that yellow lip tar, except for mixing colours or fashion editorials. 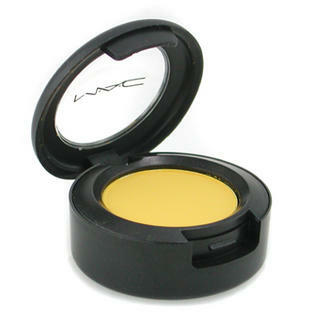 Have you ladies tried the Sugarpill yellow shadow called Buttercupcake? It beats the pants off of Chrome Yellow in my book. Wowww I love that! I just might dare to wear. I want to get my hands on that lip tar! & thank's for posting this. Yellow's where it's at. Would you say Chrome Yellow is better than bright future? Is this a good look for some one who wears mufehd foundation in 173? I haven't been able to get either the Chrome Yellow, or the Mac pencil either. Are they pro products or something, or can anyone buy them?